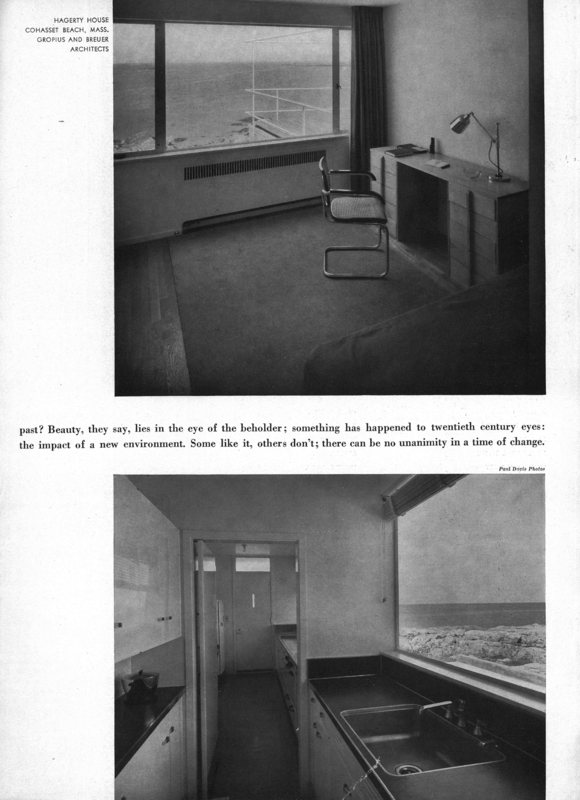 Our office has come into possession of a bunch of old issues of The Architectural Forum magazine and I have been going back and reading through them with great pleasure. This magazine was first published in 1892 under the title of ‘The Brickbuilder’ and was last published in 1974, widely considered to be the best publication on architecture during it’s run. 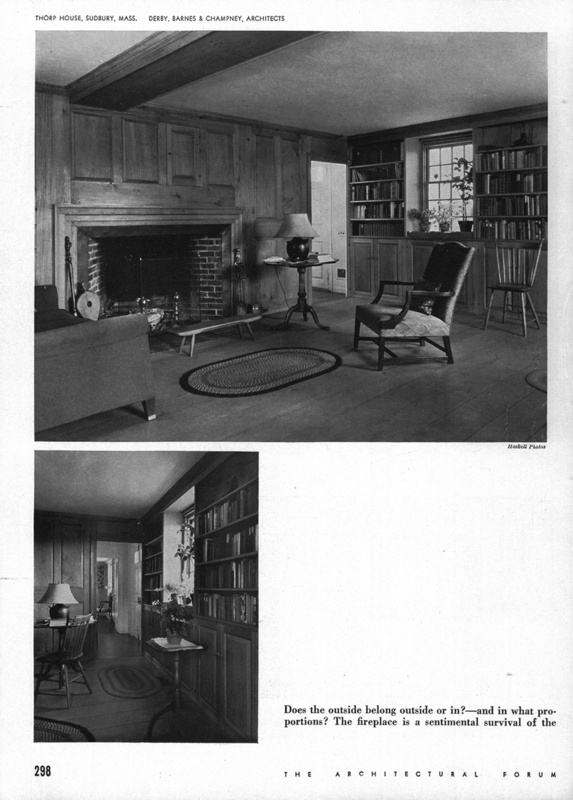 I found an article in the New York Times from March 1, 1967 that said Architectural Forum was bought by Henry Luce, the creator if the Time-Life magazine empire, in 1932 when it was still considered a trade magazine. The magazine was sold and bought and resold several times over until it’s last issue was published March of 1974. 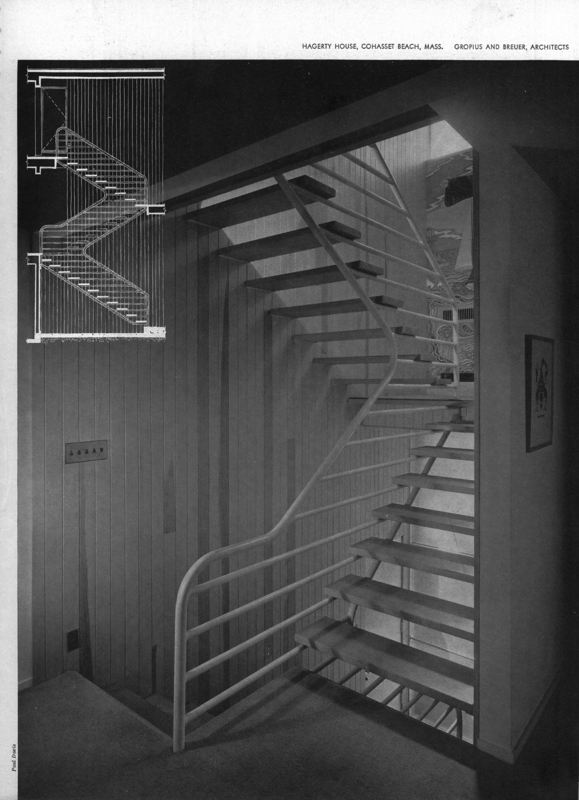 One of the issues I have been going through had an article where it was comparing and contrasting two “competent and parallel examples of traditional and modern architecture“. 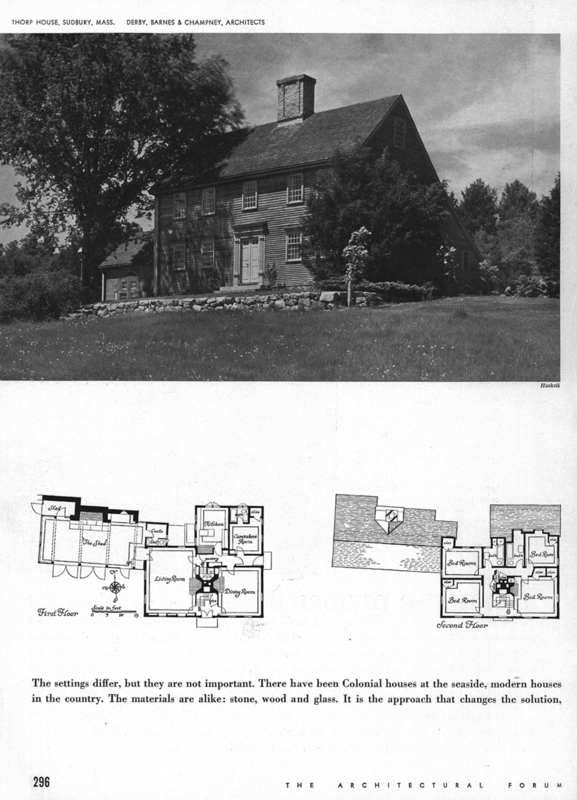 One a traditionally designed home by the firm Derby, Barnes and Champney Architects in Sudbury, Mass. 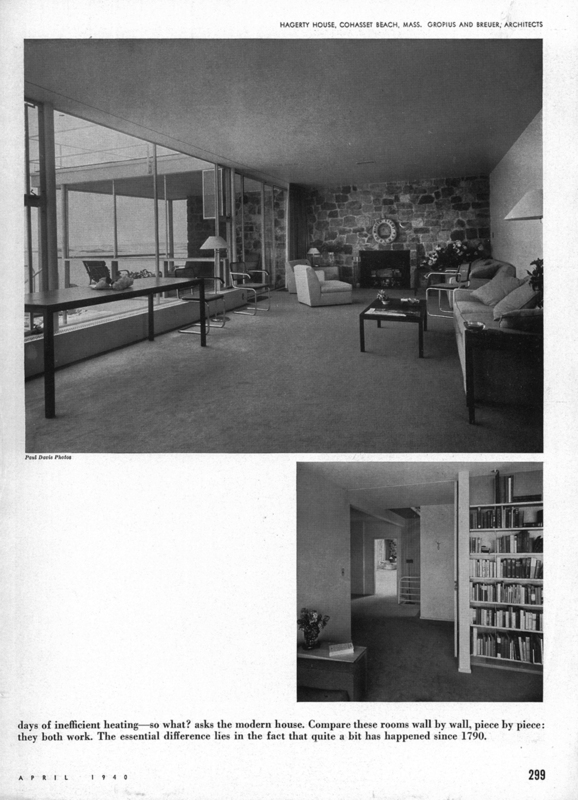 and the other a modern home by the firm of Gropius and Breuer, Architects. 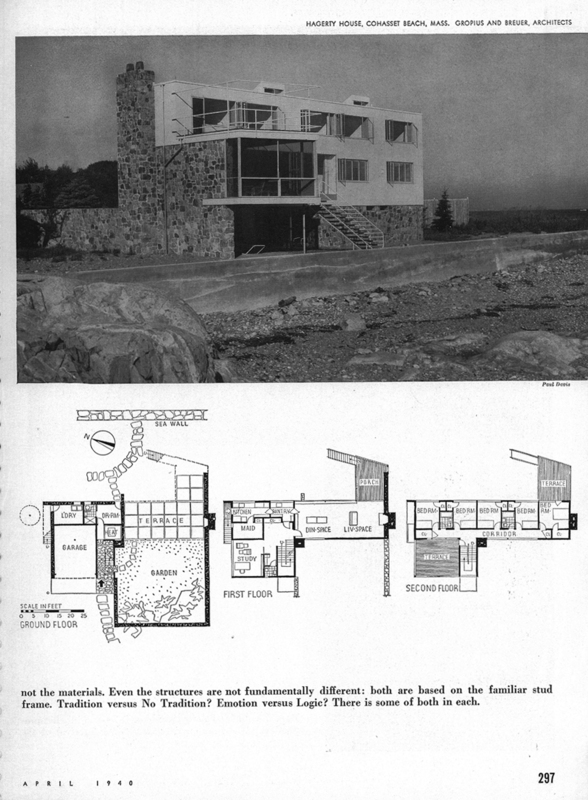 This magazine has captured my attention because it appears to be written for two distinct audiences – the architecturally educated, and the architectural enthusiast. 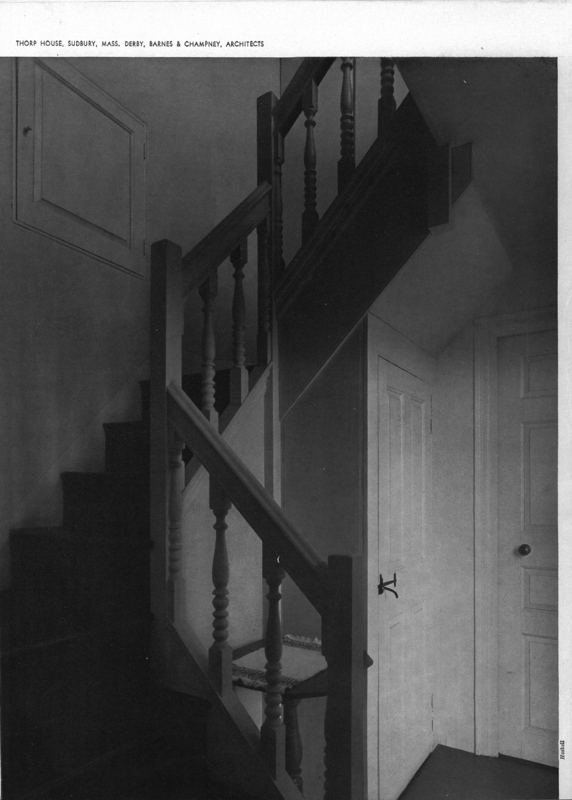 Several of the comments and items that are explored in this article are not resolved but rather presented in such a way as to propel the train of thought in a particular direction with the purpose of creating a dialog between the author and the reader. Not too much different than today’s blog environment but without the immediacy and instant reciprocation of point and counterpoint. The article that I selected to put in here today is trying to introduce the topic of transition in the styles of work between to well known firms. The concepts are attempting to deal with the logical vs. the emotional, inside vs. outside, and appropriateness of material vs location, etc. 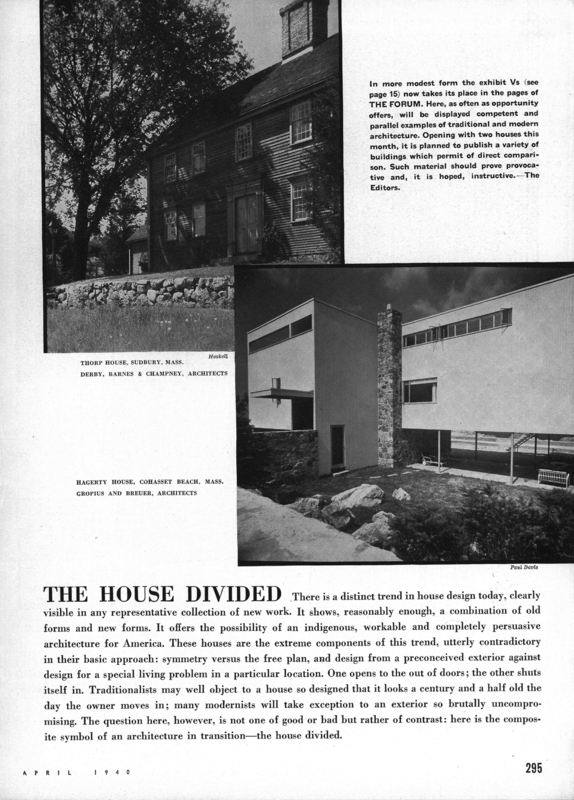 These are relevant topics 70 years later (as evidence by my recent post asking the question if a modern house can be a good neighbor). I can’t tell you how humorous I find it that the traditional house has a “Shed” where you park the cars and the modern plan labels it for what it is – a garage. This article would not be nearly as interesting if the plans had not been included for comparison. Think it is of any importance that the modern plan denotes North on the plans? You’d better believe it. 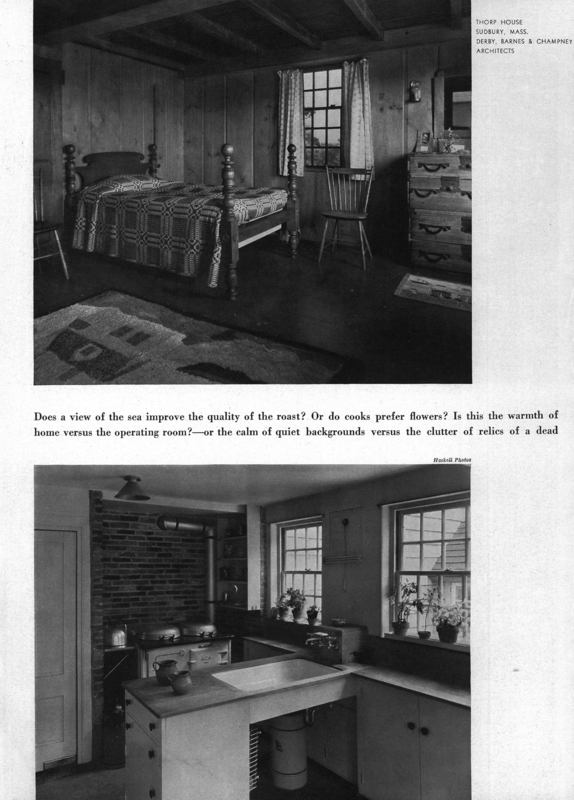 If you are going to show an example of a traditional house with it’s interior turned in on itself and compare it to a modern house that’s closed on one side and with large expanses of glass on the other, which way is North is going to figure into the conversation – even back then. These issues have been an blast to go through and it’s killing me that I can’t discuss the specifics of some of the articles over a few beers. The very least I can do I will – which means I am going to pull some of these articles out and share them with you. 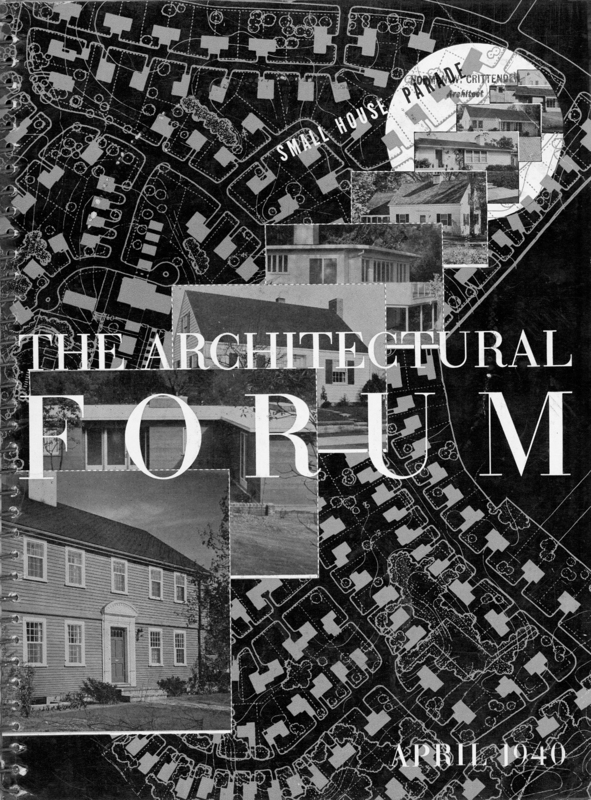 If you haven’t ever seen an issue of The Architectural Forum, please try and get your hands one some. It is amazing how current these 70 year old issues seem and how on topic the concerns of 1939 compare with those of 2010. As the saying goes, the more things change, the more they stay the same.